Recent weeks have seen increasing concerns about the role of wood stoves and biomass (wood-burning) energy generation in carbon emissions and air pollution, including stories in our national media. Here, Director of The University of Manchester’s SUPERGEN Bioenergy Hub, Professor Patricia Thornley, explains how the story has got ahead of the science and risks presenting a skewed picture of this potentially useful technology. Most people know that climate change is a huge global environmental threat. If we do nothing to address that the environmental and human health impacts will be huge. Much of the UK’s focus to date has been in decarbonising its electricity, which is great, but around one third of our carbon emissions come from heat, so it isn’t enough to just address electricity, we need to find low carbon sources of heat too. One obvious option is to heat our homes and provide industrial heat with low carbon electricity but that is expensive and inefficient. Biomass heating is a technology available today that can immediately reduce the greenhouse gas emissions associated with heat production. Calculating the exact extent to which this reduces greenhouse gas emissions is complicated because you have to look at where the wood comes from, how it has been processed etc. At The University of Manchester we have done those calculations for many different types of system and find that you do get good reductions in greenhouse gas emissions: 58% for a pellet boiler replacing a natural gas boiler in a home; 94% for a chip boiler in a district heating system (Thornley et al., Maximizing the greenhouse gas reductions from biomass: the role of life cycle assessment, Biomass and Bioenergy, 2015). and we are also working in the SUPERGEN Bioenergy hub on cheap abatement devices that would minimize particulate emissions, particularly the fine particulates which cause the biggest health problems. So, are particulate emissions from wood stoves contributing to additional greenhouse gas emissions? There is a short term greenhouse gas impact from some of the particles released in wood combustion. This means that in practice when we take into account those particulates the greenhouse gas benefits will be less than those calculated above. The question is how much less? We need to make accurate measurements to find that out and are doing that as part of an ongoing project in the SUPERGEN Bioenergy hub at present, but more work is needed to be really confident about the exact magnitude of GHG reductions being achieved. It is worth bearing in mind though that lots of things influence GHG reductions and one of the biggest is what you are replacing. So, if a wood stove is being used as well as other heating sources that won’t be delivering any GHG reductions. If it is being used instead of a natural gas condensing boiler only limited GHG reductions will be achieved, but if it is being used instead of oil or coal (often the case in rural areas) the savings will be much greater. And are particulate emissions from stoves harming human health? It is true that millions of people die every year from exposure related to particulates, but most of these are in developing countries, where open field burning is often part of agricultural practice and wood fuel is often used very inefficiently in much cruder devices than the ones being used for UK heating. In the UK, burning wood in a stove will give rise to some particulate emissions and these will have a local air quality impact. But whether or not that is a problem very much depends on what the ambient, background level already is. The World Health Organisation sets thresholds at levels that experts believe are sufficient to protect human beings from harm from particulates. The UK then monitors air quality levels and puts legislation in place (by requiring stoves to meet certain standards, development control, prohibiting burning in some urban areas etc.) to protect communities. The emerging evidence at the moment is that emission levels during start-up of stoves is higher than previously thought. If lots of people start up stoves at the same time (as is likely to happen if we have a sudden cold snap) in an area where the prevailing air quality is already poor (e.g. in cities with high levels of diesel vehicles) then there could be air quality exceedances with real health impacts for individuals nearby (particularly those with pre-existing respiratory problems). But if we are looking at steady use to provide a main source of heat in a rural area with better air quality there is little evidence of concern. The challenge for engineers is to design things better so that we reduce these emissions and we are working on that in the Manchester-led SUPERGEN Bioenergy hub (www.supergen-bioenergy.net). We are working on better control of small scale bioenergy systems and have seen promising results from trials of a novel plasma device that could reduce particulate emissions (especially the problematic finer particulates) in the flue gases. The message for the public is that wood can deliver greenhouse gas reductions. These (and other environmental emissions) are generally better at large facilities rather than small domestic ones. But we do need to reduce the carbon emissions of domestic heating and wood gives one way of doing that. Many of the key environmental impacts are better in larger boilers focused on delivering heat at larger scale, but we do need to also decarbonize domestic heating and, particularly in off-gas grid rural areas, biomass may be the best all-round (sometimes the only) option. Whilst this work goes on, there are two positive steps that authorities could take immediately to ensure consumers are fully informed on the best way to use their wood stoves. Firstly, we need to tackle the prevalence of unseasoned/insufficiently seasoned logs being sold to casual shoppers in areas such as garage forecourts. A much clearer, potentially colour-based, labelling system could let stove-owners know which logs are ‘burn now’ and which will need further seasoning before being dry enough to burn responsibly. In terms of voluntary practice, it would also be good to see outlets only selling ‘burn now’ fuels in quick purchase areas like forecourts, or have members of staff trained to recommend seasoned logs when asked and when customers are buying un-/under-seasoned logs at the point of purchase. Secondly, we should work towards a labelling of stoves themselves based on their efficiency. We have already developed similar ratings systems for our washing machines, boilers, and other household appliances. Ratings that reflect efficiency of the appliance in both ‘steady state’ (during the burn, and/or in continuous use) and over the full ‘burn cycle’ (including the start up and die-down) would give a better indication of which appliances to buy to suit individual needs. Any call for a ban on wood stoves is clearly premature given the state of the available evidence. However, small policy steps to educate and empower wood stove users to make better decisions are available, practical, and could make a significant difference to emissions and particulate levels while much-needed scientific research continues. 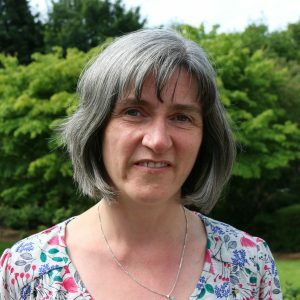 Professor Patricia Thornley leads the £4.5 million EPSRC SUPERGEN Bioenergy Hub, which aims to bring together industry, academia and other stakeholders to focus on the research challenges associated with delivering sustainable bioenergy systems. Her personal research interests focus on the environmental, social and economic impacts of bioenergy systems in the UK and overseas and how these can be practically managed to deliver sustainable bioenergy systems.